If you’re looking for a NAATI accredited Croatian translator in Sydney, you’re on the right page! We provide reliable and affordable NAATI certified Croatian translation services. 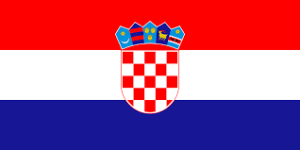 Sydney Translations has been providing Croatian translation services for over 7 years in Sydney. Our clients range from small businesses, global brands, individuals, organisations to government agencies. Start your translation today. Get a free quote by simply completing the enquiry form on this page, and you’ll receive a detailed estimate within 15 minutes. Mainly spoken in Croatia, the Croatian language is a part of the South Slavic language. It has a 900-year old history and is a mix of the Croatian Church Slavonic and vernacular of the language. In the mid-1600s the Croatian Church Slavonic was removed, and now only the vernacular version gets used. With all the nuances and vocabulary of this language, an experienced linguist is needed to translate it successfully. Sydney Translations is proud to have NAATI accredited Croatian translators who can take up the challenge and produce high-quality Croatian translation services. Over the years we have received hundreds of documents for translations such as academic transcripts, birth certificates, marriage certificates, medical records, marketing manuals, driving licences, police records and so much more. Get your document assessed for free when you upload it using our online quote form. Simply fill in your details and attach a clear copy of your document and we will send you an exact quote in less than 15 minutes. Yes, you won’t pay anything for that. Do you need NAATI certified Croatian translators for your documents? Look no further than Sydney Translations! We provide the most qualified NAATI accredited translators who have proven time and again that they can produce translations that are 100% accepted by all Australian authorities requiring NAATI Croatian translations. Sydney Translations is well known for its fast and affordable Croatian translation services. Getting your translations doesn’t need to be expensive. For as low as $69, we can finish your document translation with a fast turnaround. On average, our Croatian NAATI translators can finish translating a document within 2 to 3 business days with our standard Croatian translation services option. If you are in a hurry, no worries! We can take on the challenge and finish your translation in less than 24 hours via the Instant and Express Croatian translation services. Just get in touch via the Live Chat or mention your deadline when you complete the translation form. We look forward to translating your documents. Start by filling in your details in our translation form located on this page. Check your email in 15 minutes; we will send you the exact price quote. Process your order by completing your payment. Credit cards, Paypal transfer and bank transfers are accepted. Once we finish your translation, we will email you the draft copy and ask you to review it. If you are satisfied with the translation, we will send you the final soft copy. If you need a certified hard copy, we can send you one by post. The alphabet of the Croatian language was derived from the Latin language. Palatal and affricate consonants create the Croatian consonant system. This makes the language really complicated for a lot of people. Only five vowels make up the language’s vowel system. All of these are considered as monophthongs. The Stokavian dialect with Cakavian and Kajkavian is where the Modern Standard Croatian is based on. The language has a two-way pitch accent.